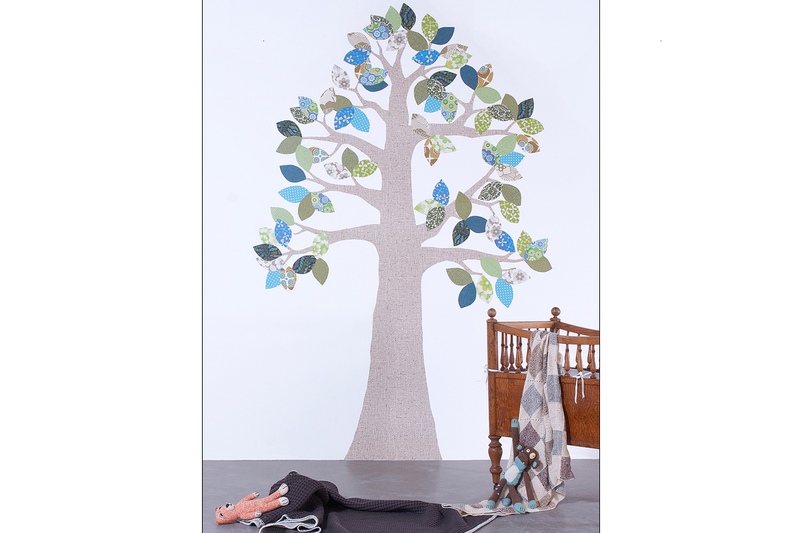 The original Wallpaper Trees from Inke have become genuine design classics. 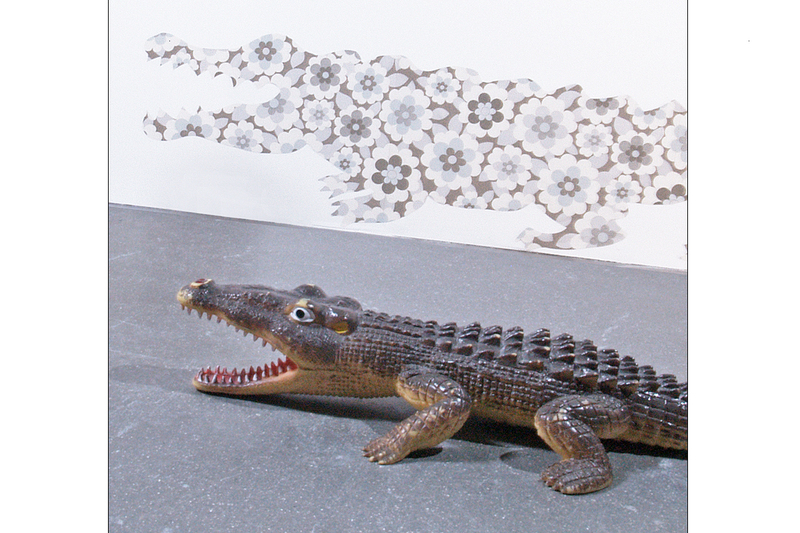 These eye-catchers are hand made in Inke’s workshop from authentic wallpaper. Available in many shapes and color-schemes. 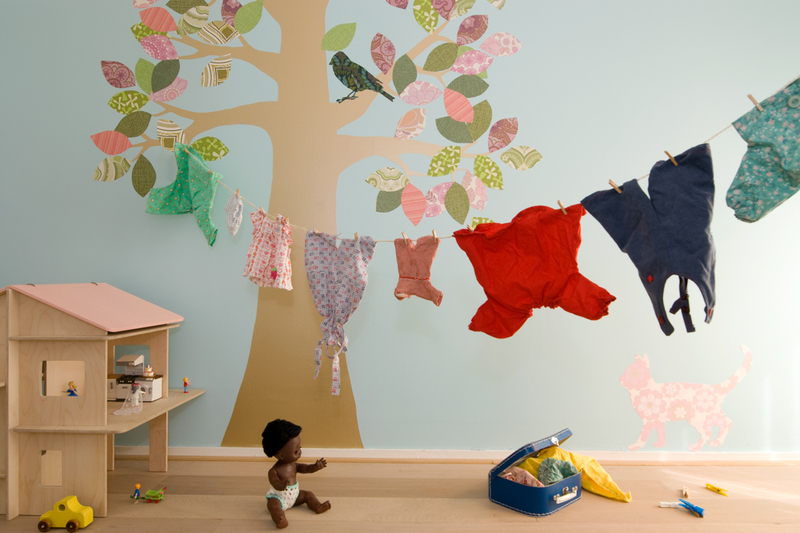 If you wish to subtily create an intimate setting for your nursery, the slender shape of Wallpaper Tree #3 can really tie the room together. Or go big and bold and place the tree sideways on the wall to make a giant branch with leafs. Select the color scheme that suits your interior (customization possible). 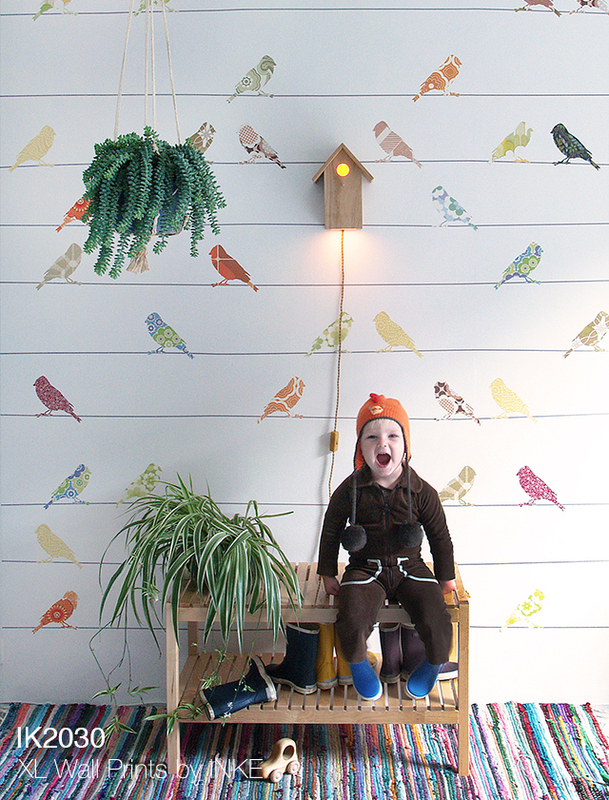 Wallpaper birdie included! So whimsical! 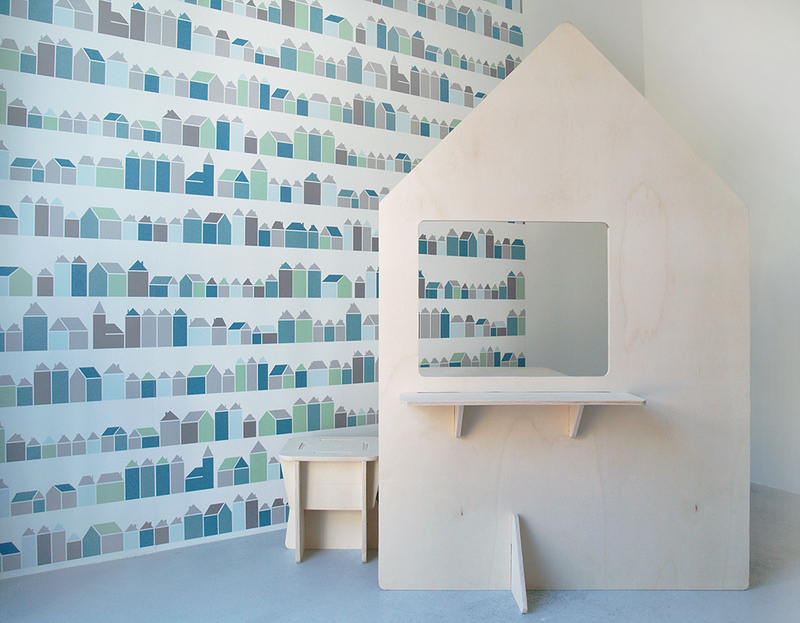 These original designs by Inke Heiland are hand made from real vintage and contemporary wallpaper. All the animals (including dinosaurs!) 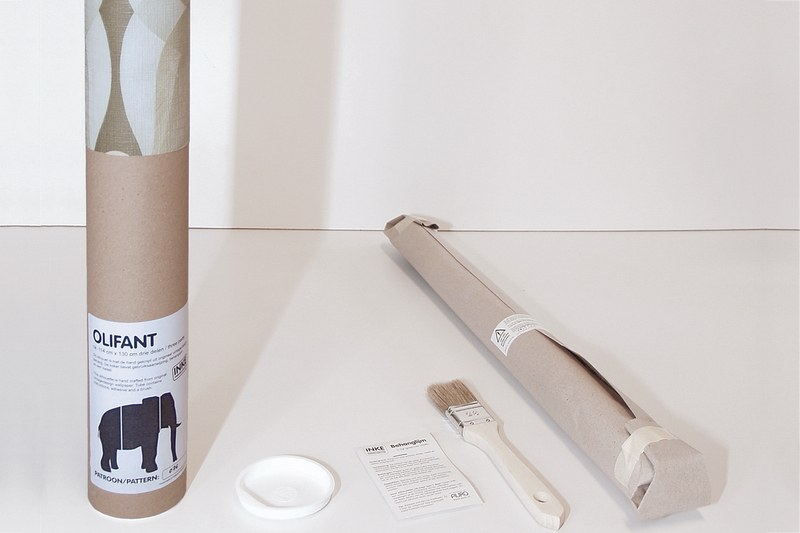 come as an easy DIY-Kit, complete with a brush and a sachet of ecological wallpaper paste. 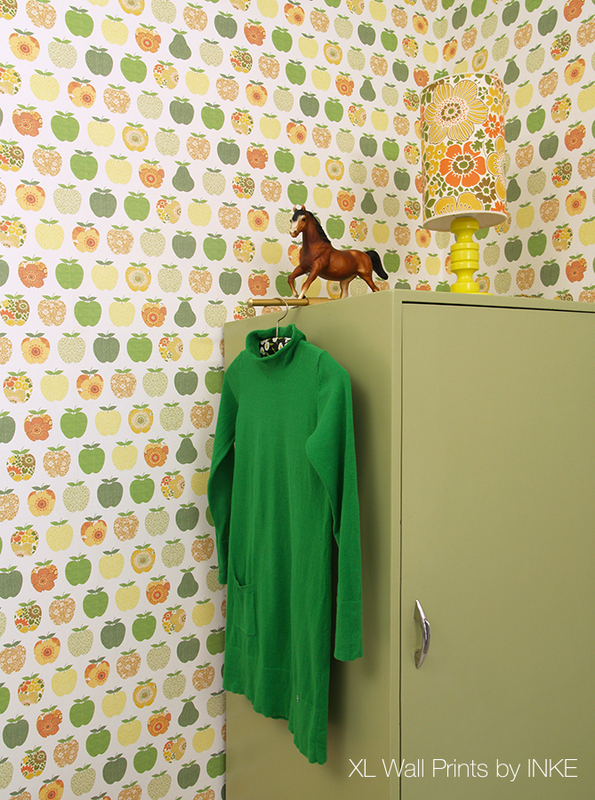 Place the silhouettes on a painted wall, or over existing (fleece) wallpaper and create your own unique wall design! 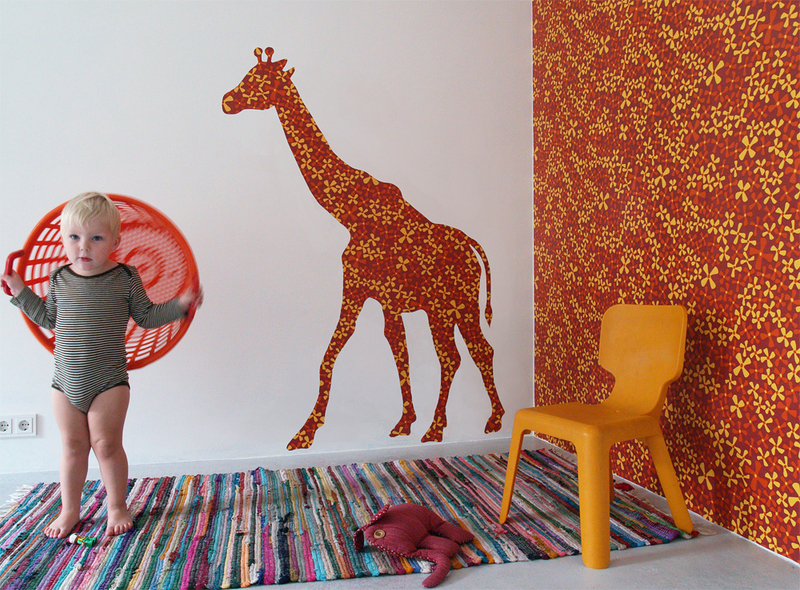 Wall prints and murals by Inke on high-quality non-woven fleece wallpaper. 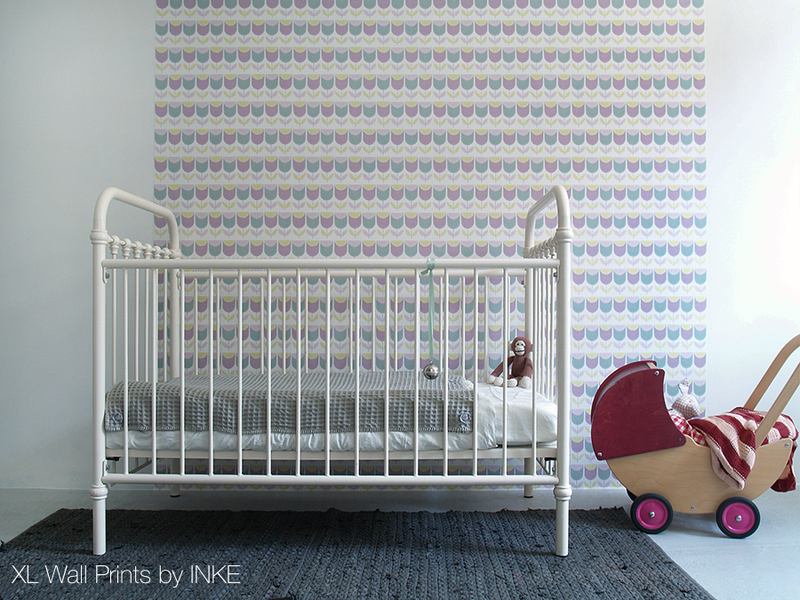 Now available in our brand new website: Inke's Wallprint.Shop! Filled to the brim with new designs and loads of new sizes. 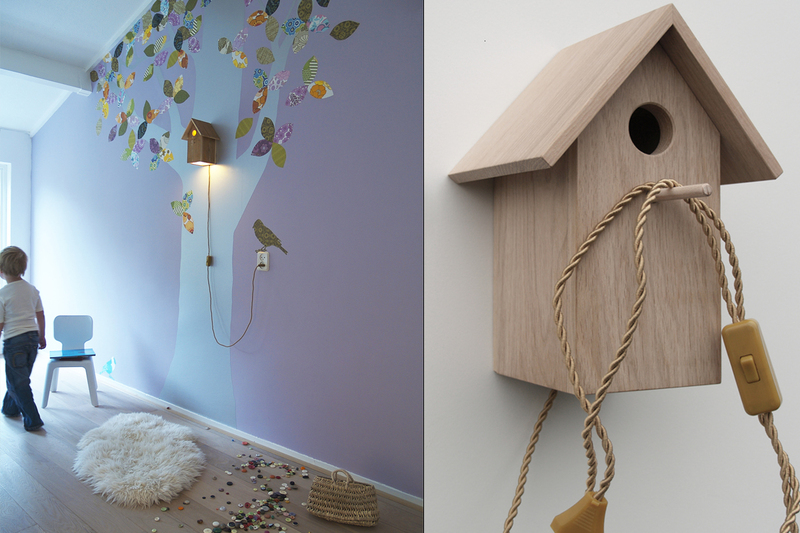 Nothing beats a bedtime story under the warm light of Inke’s Birdhouse Light. Handmade in Holland from sustainable oak (FSC). Including CFL-bulb and a set of Wallpaper Birds. The perfect companion for your Wallpaper Tree. A large selection of extremely rare and exclusive designer wallpapers. Many of which only available here. 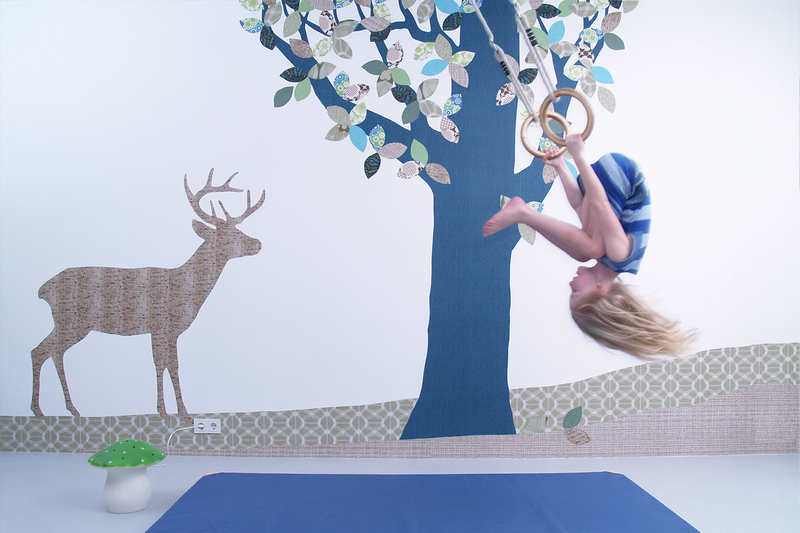 Order the wallpaper per roll or per meter. Exclusive offers on sale, up to 50% discount. 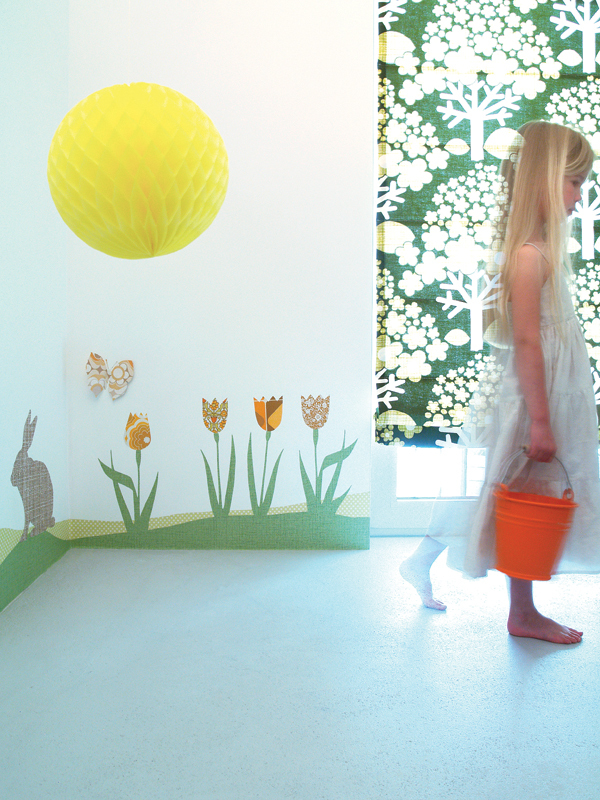 Inke's Wallpaper Lampshades provide a wonderful ambient light - ideal for nurseries. 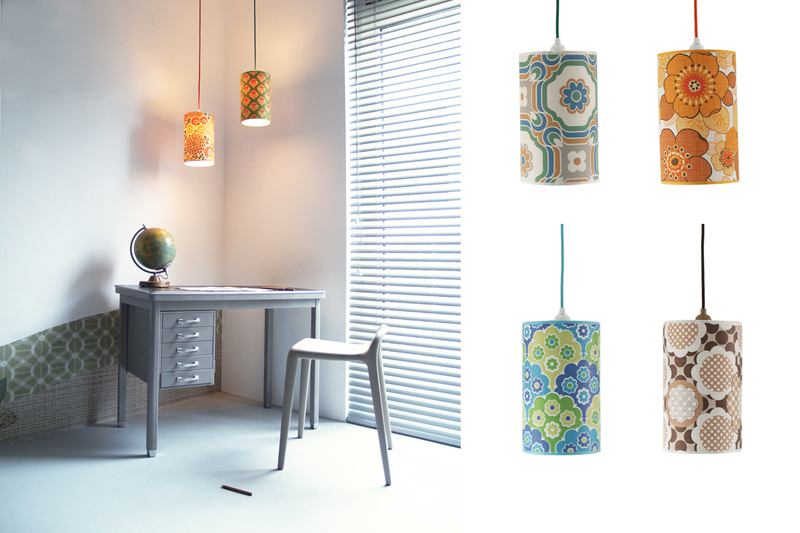 Each lamp is carefully handmade in Holland. 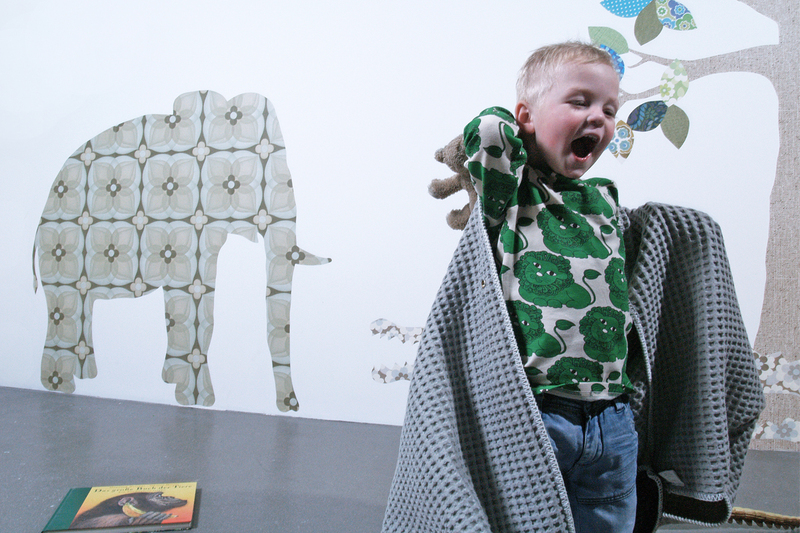 You can choose from a wide array of patterns. These colorful prints by Inke are the perfect present! Available with or without poster frame. Mega Wall Print "World Map"
The world is one big place to discover and no better way to get your little Livingstone started than with Inke's beautiful world map design. 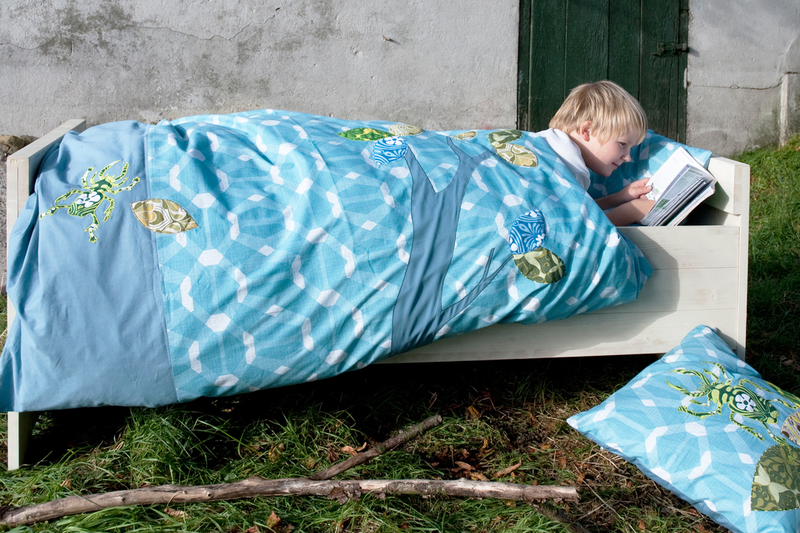 Made from high-quality non-woven (fleece). Easy to apply and remove. 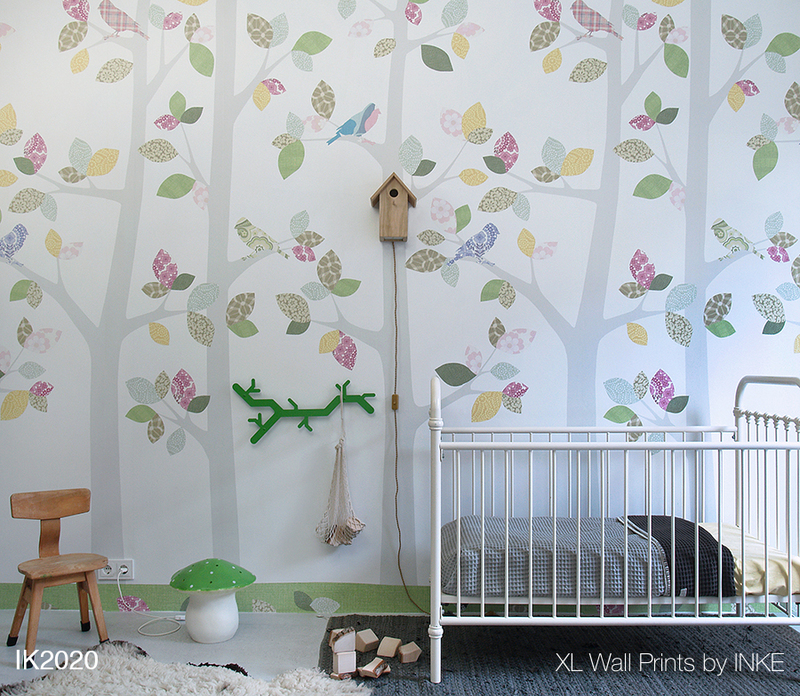 Available in our brand-new online store for Inke's wall prints: wallprint.shop. 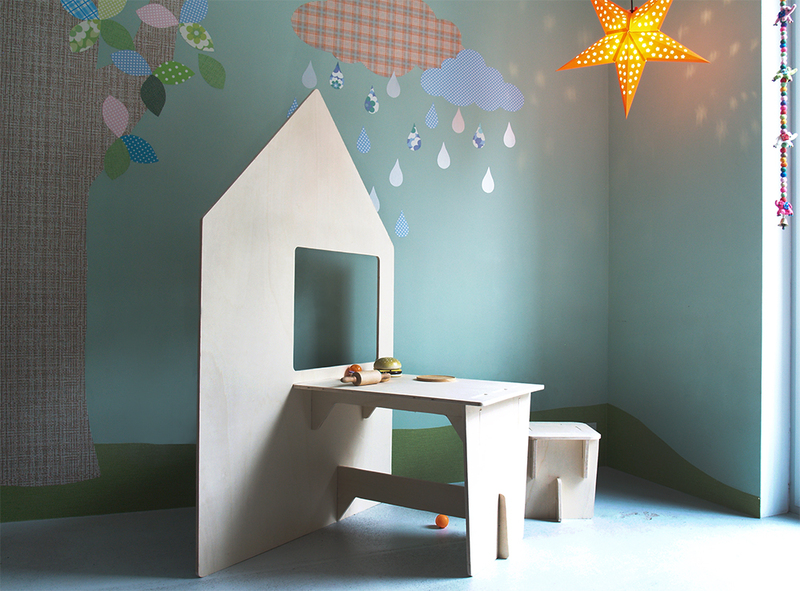 Children are irresistibly attracted and let their imagination run wild with this beautiful Playhouse made from sustainable birch plywood (FSC). 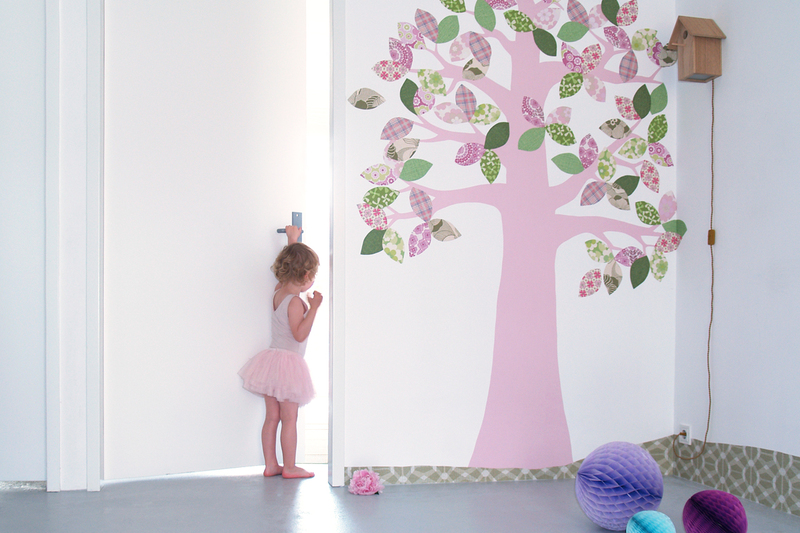 Your head in the Clouds with these new wall decals by Inke. Hand made from authentic wallpaper. Available in Inke's wallpaper shop: Chalkboard wallpaper ( checkered and plain black ). 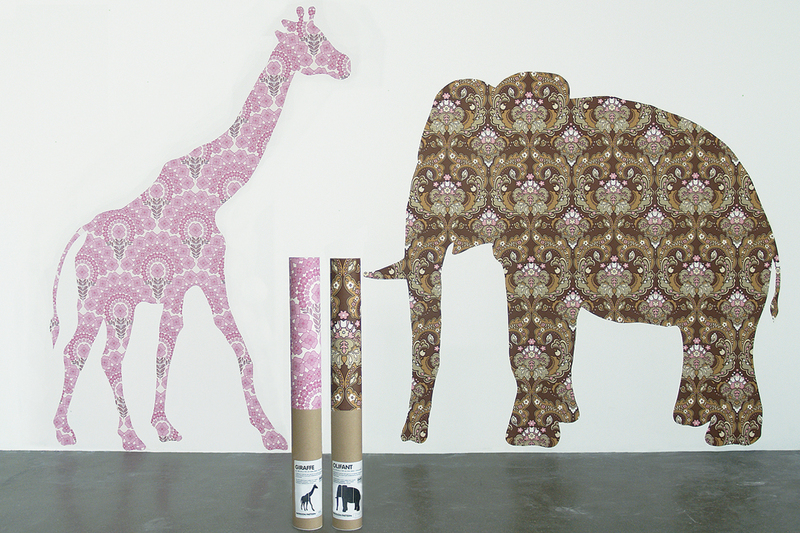 You can order the wallpaper per 5M roll, per running meter, or in one of the many animal shapes. 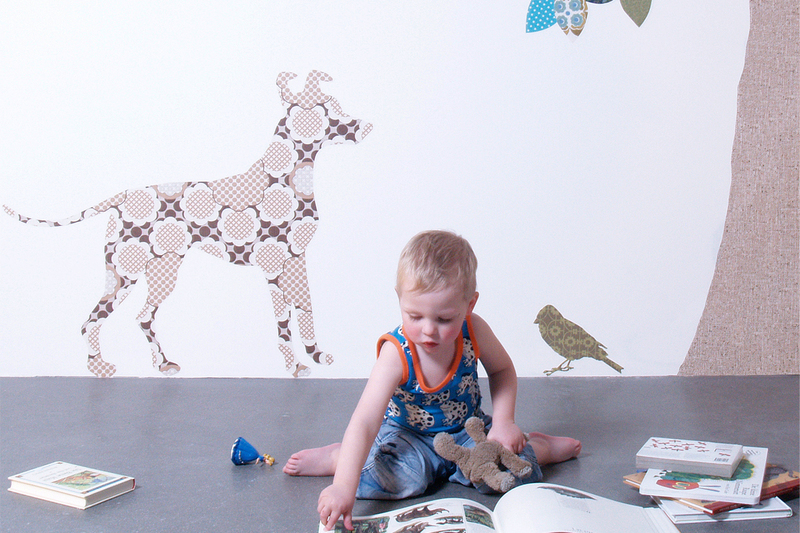 Horses, foal, deer… turn every kids room into a menagerie with these hand made wall decals by Inke. 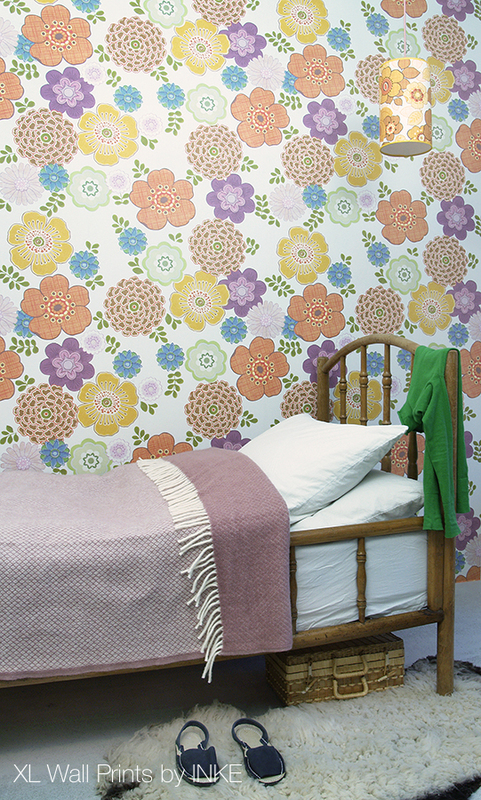 Hand made in Holland from rare vintage and contemporary wallpapers. Ecological wallpaper paste and brush included. 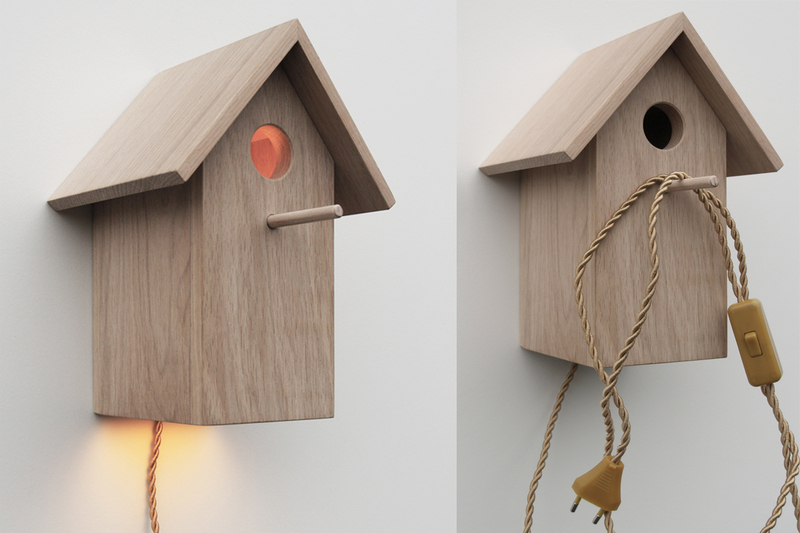 These quirky birds give a colorful accent to a doorpost, windowsill or even a wall socket. Available in sets of two or Mega Packs of a whopping 20 birds. 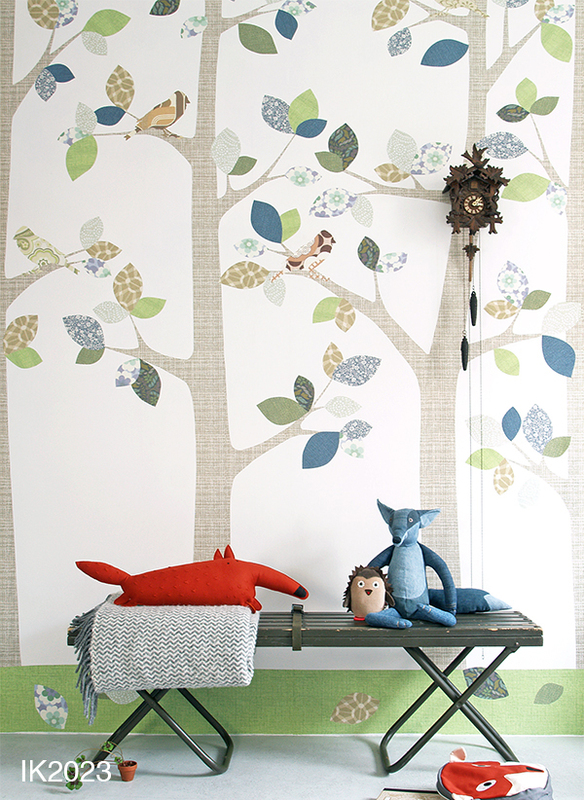 The four heroes from the children's book The Town Musicians from Bremen also are available as wallpaper silhouettes. Combine a mama elephant with her calf. 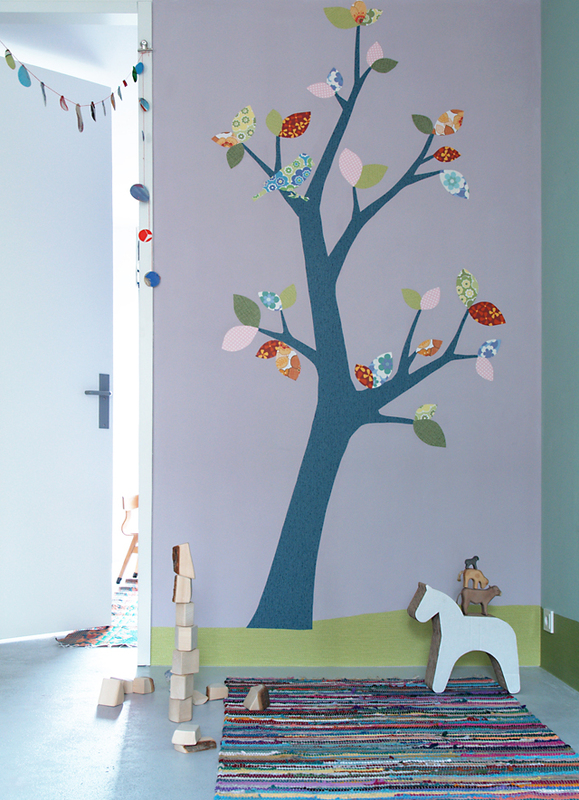 The branch wall decals are easy to apply and come as a handy DIY-Kit, complete with instructions, ecological wallpaper paste and a brush. Now you can get prehistorical on your walls! 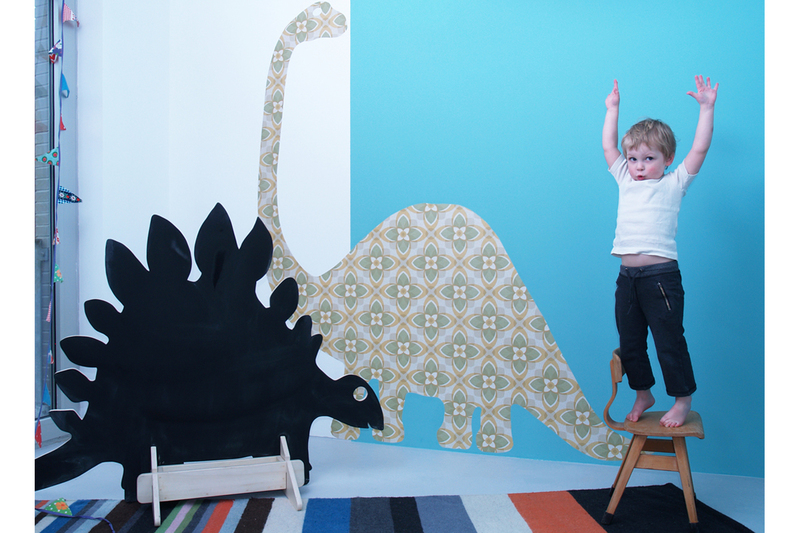 These nearly life sized dinos are an unique eye-catcher for your (kids) room. Create an interior in your interior with these unique wall decals. 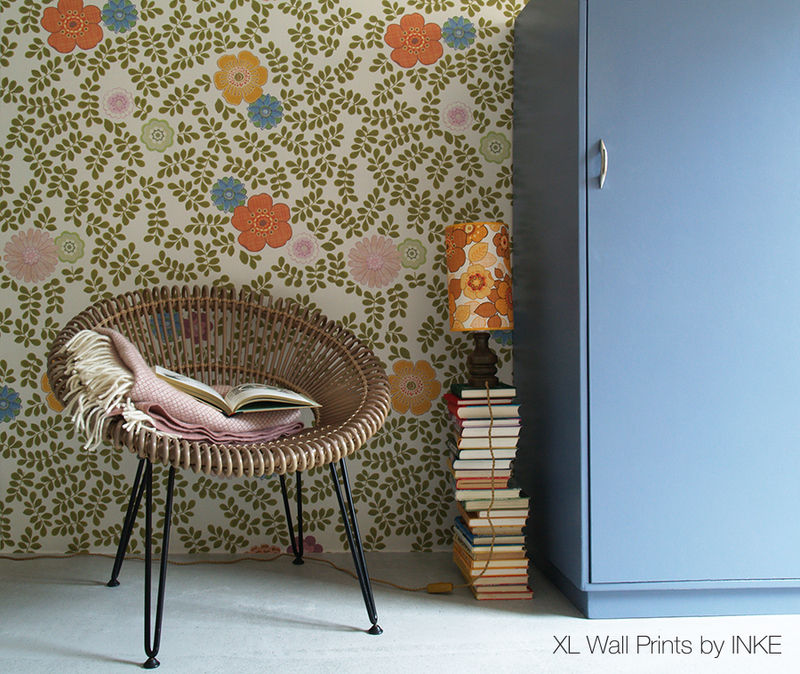 Hand made from rare vintage and designer wallpapers. 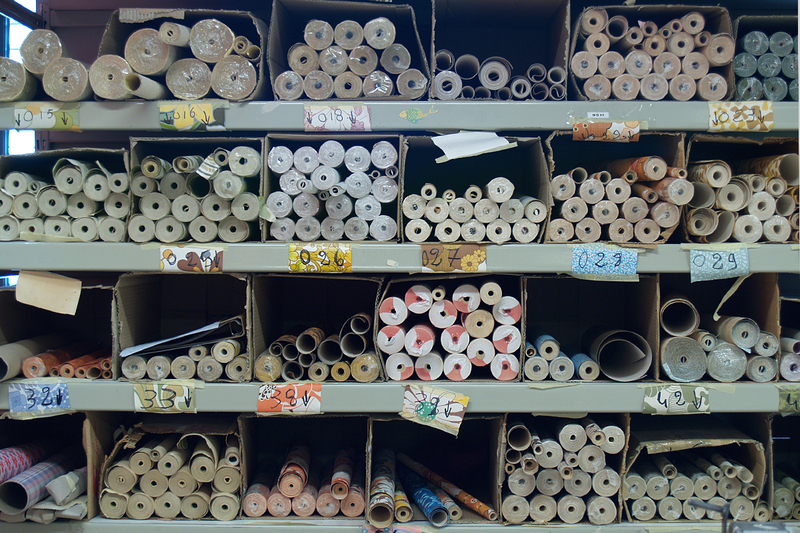 Inke's wallpaper shop has a large selection of extremely rare and exclusive designer wallpapers. Many of which only available here. 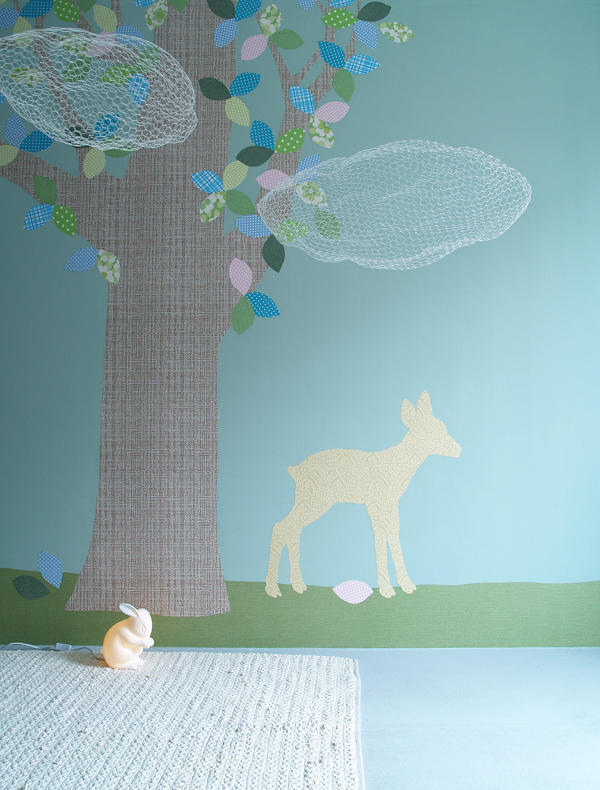 Wall decal from the hooved animal series - lots of patterns available! 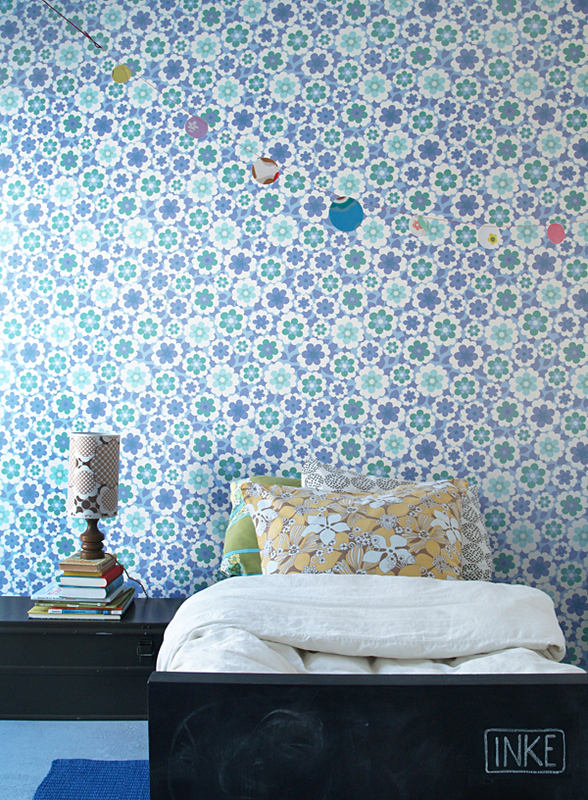 This wall decal is made in a limited series from rare 1950's wallpaper. One of Inke's most popular designs. Choose your giraffe from one of the many available patterns. 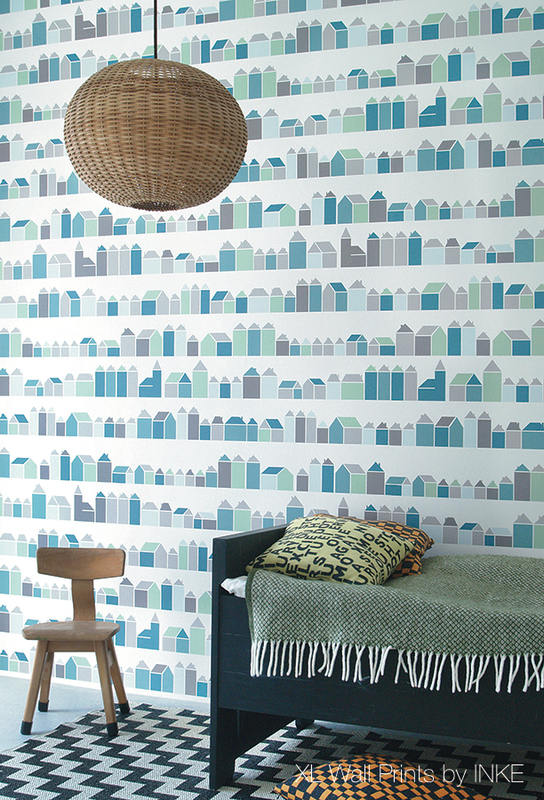 Inke's wallpaper shop has a large selection of contemporary wallpapers. Many of which exclusively available here.